WASHINGTON, D.C. – (RealEstateRama) — Chairman Luetkemeyer, Ranking Member Cleaver, Members of the Subcommittee, thank you for inviting me to testify today on the impact of U.S. – EU dialogues on insurance markets. Whether in the context of domestic regulatory modernization or in the development of international insurance supervisory standards, any discussion of the U.S. insurance sector must begin with the recognition that the United States has the world’s largest and most diverse and competitive insurance market. Thousands of insurers operate in the United States, ranging from small mutual companies that serve a few rural counties to massive global insurers engaged in a variety of financial services. While serving as the Illinois Director of Insurance, I learned firsthand about the importance of small and mid-size insurers to local and regional economies, as well as to insurance consumers and claimants. FIO strongly supports this marketplace diversity, and advocates not only for its preservation but also its enhancement. This testimony describes the ways in which FIO’s work serves our U.S. national interests and preserves both the diversity and competition within the U.S. insurance market and the unique U.S. insurance oversight system. In particular, this testimony discusses the ongoing negotiations of a covered agreement between the United States and the European Union and several other important international initiatives, including at the International Association of Insurance Supervisors (IAIS). A covered agreement refers to a written bilateral or multilateral agreement regarding prudential measures, with respect to the business of insurance or reinsurance, which is entered into between the United States and one or more foreign governments, authorities, or regulatory entities. As Members of this Committee know, we have been vigorously pursuing a covered agreement with the European Union since Treasury and the United States Trade Representative (USTR) announced our intention to do so last November. Recent EU insurance regulatory reforms have increased the need for a covered agreement between the United States and the EU. After years of conceptual and technical development, the European Union began implementation of its Solvency II insurance regulatory regime on January 1, 2016. Under Solvency II, insurers and reinsurers may be subject to an alternative regulatory regime if an insurer or reinsurer’s country of domicile has not been determined by the EU to be an equivalent jurisdiction under Solvency II. Given the prominence of the United States as an insurance market, and given the longstanding nature and success of the U.S. insurance regulatory system, the United States will not submit to the EU’s formal Solvency II equivalence process to assess and rule on the adequacy of the U.S. system. For example, 2015 year end data shows that the U.S. insurance market accounts for 26.88% of global insurance premiums, more than twice the amount of Japan, which ranks second (13.04%). While Solvency II has been praised within the EU, and reflects the substantial commitment and expertise of insurance leaders from throughout Europe, it is not a system that will be duplicated within the United States. The U.S. insurance market – for which the states remain the primary regulators of the business of insurance – is the most diverse and competitive in the world, with thousands of insurers ranging in size, complexity, and global reach. With the complementary roles of the state regulators, the Board of Governors of the Federal Reserve System, and FIO, the United States has a system of insurance oversight that protects consumers, supports financial stability, and provides for global engagement. In addition, the United States is the largest insurance market for many EU insurers and reinsurers. The EU is not as prominent a market for U.S. insurers and reinsurers as the United States is for EU industry. However, U.S. insurers and reinsurers generate billions of dollars in revenue from the EU market. The EU’s Solvency II regime allows for EU member states to supervise insurers and reinsurers that operate in the EU but are from non-equivalent countries, such as the United States, and may subject those insurers and reinsurers to additional capital, governance, and reporting requirements. In fact, several U.S.-based insurers and reinsurers have received written notice from EU supervisors of the potentially significant implications for those insurers and reinsurers arising from the implementation of Solvency II. In the covered agreement negotiations the United States seeks to level the playing field for U.S. insurers and reinsurers operating in the EU and to address critical prudential regulatory areas relating to group supervision and solvency, reinsurance supervision, including collateral, and the exchange of regulatory and supervisory information across borders. If negotiations are successful, a U.S.-EU covered agreement would be a mechanism through which U.S.-based insurers and reinsurers receive an assurance of balanced regulatory treatment when operating in the EU market. In other words, if negotiations are successful, a covered agreement could help eliminate the uncertainty that shrouds participation of U.S. insurers and reinsurers in the EU market, and may provide greater certainty on both sides of the Atlantic regarding interaction between the U.S. and EU regulatory approaches. The U.S. system of insurance regulation is premised upon the role of the states – legislators, governors, and regulators. With respect to prudential oversight, state-based regulation has largely evolved with the recognition that the ability of an insurer to pay a claim is the bedrock on which the U.S. insurance market is based. To the extent that the U.S. system will change in substance or structure, any such change would be a determination for Congress or the states. Although Solvency II approaches some aspects of group supervision differently from the U.S. system, a covered agreement could affirm that U.S.-based insurers operating in the EU would not be subject to additional Solvency II requirements due to those differences. A covered agreement could also address concerns regarding the treatment of EU reinsurers operating in the United States, particularly regarding collateral, a topic of great importance to the United States. By some estimates, U.S. ceding insurers purchase more than 90% of third party reinsurance from non-U.S. reinsurers, and the cost of that reinsurance affects the availability and affordability of insurance products for U.S. property owners, businesses, and consumers seeking retirement security, among other things. A covered agreement could allow EU-based reinsurers to operate in the United States with less restrictive use of reinsurer capital while continuing to ensure consumer protection. In addition, the reinsurance industry operates most effectively and efficiently when able to spread capital – and risk – globally. Further, a covered agreement could lead to more nationally consistent application of certain essential aspects of reinsurance collateral reform, which was unanimously approved by state insurance regulators in November 2011 in the form of an NAIC model law. These reforms have, to date, been implemented thoughtfully in many states, although not in all states and not in a consistent manner. In short, the United States could provide appropriate protections for U.S. consumers, and collateral relief to EU-based reinsurers, by agreeing to follow an approach substantially similar to one already approved by state insurance regulators. As importantly, through a covered agreement the United States intends to ensure that U.S.-based reinsurers can continue existing business and seek to expand such meaningful business opportunities in the EU by ensuring a level playing field for U.S. reinsurers throughout the EU market. Regulators and supervisors for multinational financial services firms must have the capacity to exchange sensitive regulated entity information across national borders on a confidential basis for regulatory and supervisory purposes. For this reason, another component of the covered agreement negotiations relates to the exchange of regulatory and supervisory information, and the maintenance of the confidentiality or professional secrecy of such information. In the covered agreement, the United States seeks to identify principles and procedures that could serve as guidance to facilitate information sharing between supervisors and regulators in both markets. A covered agreement may enter into force with respect to the United States only upon expiration of a period of 90 calendar days after the Secretary of the Treasury and USTR jointly submit a copy of the final legal text of the agreement to the relevant committees of Congress, including the House Financial Services Committee. We have and will continue to provide regular briefings for this and other Committees as we move forward. State insurance regulators across the United States combine expertise and commitment that protects consumers. My personal experience as a state regulator, working with many great regulatory professionals from around the United States, further emphasized the importance of state regulator participation in the U.S. – EU covered agreement negotiations. To this end, Treasury and USTR have sought the views and expertise of state regulators and have made engagement and feedback with representatives of state regulators an integral part of the covered agreement process. 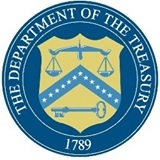 On November 20, 2015, promptly after giving notice to and consulting with Congress regarding the joint intention of Treasury and USTR to negotiate a covered agreement, USTR and FIO met with state regulator leadership to discuss the process and the mechanism by which state regulator representatives would be included in a direct and meaningful manner. In order to facilitate direct and meaningful feedback, as we develop U.S. positions in the context of the negotiations, we regularly engage and consult with a group of state insurance regulators. State regulator representatives review and provide feedback on U.S. documents before those documents are shared with our EU counterparts as well as providing additional feedback on the negotiations. Not surprisingly, the technical perspective offered by state regulators has been a strong component of the U.S. engagement. In addition, both USTR and FIO have engaged with stakeholders throughout the negotiation process. In meetings with groups of company and trade association representatives, as well as with individual insurer consultations, stakeholders have provided invaluable insights into all three subject matter areas that are being addressed in the covered agreement negotiations. In multilateral standard-setting work at the IAIS, FIO works closely with our colleagues at the Board of Governors of the Federal Reserve System (Federal Reserve), state insurance regulators, and staff of the National Association of Insurance Commissioners (NAIC). Notably, state insurance regulators participate in greater numbers at the IAIS than any other IAIS member, and each state insurance regulator has a vote in the IAIS plenary sessions. 2015 brought structural reform to the IAIS that has eliminated the pay-for-play dynamic and significantly enhanced IAIS transparency. Before 2015, stakeholders paid an annual fee and, in exchange, received special access to IAIS materials and meetings. In 2015, the IAIS eliminated the annual fee, increased transparency through in-person stakeholder engagement, and enhanced engagement through the internet and by telephone. The success of this increased transparency is reflected in the exponential increase in direct, in-person stakeholder engagement, from approximately 12 hours in 2014 to over 140 hours in 2015. The IAIS website contains information available to the public, not just to stakeholders who pay the annual fee. Although for years the IAIS has used a public consultation process, since 2015 the IAIS has hosted explanatory meetings and telephone calls so that stakeholders can learn and ask questions about the substance and structure of the consultation document in advance of providing comments. After receiving comments on a consultation paper, since 2015 the IAIS has published the comments received, released a summary of comments, and offered a written reply to the comments. For the various work streams (e.g., capital, governance, and market conduct), stakeholder contact lists have been developed so that those stakeholders now provide preliminary input on a consultation paper prior to the paper’s release for formal comment. IAIS now publishes a monthly newsletter to describe developments in the preceding month and events scheduled for the coming month. While only a few IAIS work streams were directly open to stakeholders before 2015, the new governance and transparency practices provide a uniform approach to openness and stakeholder engagement for all IAIS activities. U.S. stakeholders also have opportunities to meet and work with the U.S. participants. Working with state regulators and the Federal Reserve, FIO has coordinated opportunities for stakeholders (including industry and consumer advocates) to meet and present to all U.S. members of the IAIS at the same time, thereby enabling the U.S. members to receive the views of U.S. stakeholders in a U.S.-based forum. Each such meeting reflects a coordinated effort by the U.S. participants at the IAIS to benefit from U.S. stakeholder perspectives on the international standards under consideration. The U.S.-based members of the IAIS include FIO, the Federal Reserve, the 56 state and territory insurance regulators who represent the individual sovereign jurisdictions within the United States, and NAIC staff. State regulators were among the founding members of the IAIS in 1994 and have been actively engaged ever since. Indeed, the state regulators and NAIC typically have more people participating and in attendance at an IAIS meeting than any other IAIS member. FIO became a full member of the IAIS in late 2012, and the Federal Reserve became a full member of the IAIS in late 2014. In 2014, FIO coordinated the establishment of a steering committee comprised of the U.S. participants at the IAIS. The steering committee addresses pending and emerging international insurance matters and, while each member of the steering committee is independent of the others, including in their IAIS engagement, the steering committee works to promote shared understanding and open dialogue and alignment on relevant issues. Since being established, the steering committee has held regularly scheduled calls and in person meetings, with additional ad hoc calls or meetings occurring often. In addition to the Steering Committee, FIO works and communicates daily with counterparts at numerous state insurance departments and the Federal Reserve. This collaboration occurs in relation to various IAIS working group meetings and in activities involving matters such as governance, risk management, capital standards, cybersecurity and financial crimes, and financial stability, among others. Collaboration occurs by telephone, through email, and full or partial day in-person meetings. U.S. participants also meet and speak in person before and during IAIS meetings. FIO’s participation at the IAIS and in other international initiatives benefits U.S. insurance consumers and the U.S. insurance industry by promoting high quality and consistent prudential standards around the world, which helps maintain a level playing field and shield the United States from financial vulnerabilities that may affect other countries. Separately, and independently, the United States considers whether to adopt international standards and, if the decision is to adopt these standards, then implements them through federal or state regulatory authorities in a manner tailored to the U.S. market and regulatory structure. Working together, FIO, the Federal Reserve, and state regulators inform the development of international standards so that the dual priorities of consumer protection and financial stability are reflected in IAIS standards that accommodate the U.S. approach. The IAIS continues development of the Insurance Capital Standard, or ICS, which, once developed and implemented, will allow for supervisors from around the world to understand and assess the group capital position of a large, multinational insurer. Many questions regarding the ICS remain open and under consideration, although the U.S. participants have worked in support of an approach that recognizes U.S. statutory accounting practices. Development of the ICS is incremental and will occur over a period of years. This will transpire only after extensive consultations with stakeholders and field testing. Field testing is the exercise through which volunteer insurers submit data to the IAIS in response to a standardized set of questions, thereby allowing for fact-based analyses of the issues under consideration. At present, 42 insurers from around the world are involved with field testing, nine of which are U.S.-based insurers. The IAIS is also continuing development of the Common Framework for the Supervision of Internationally Active Insurance Groups (ComFrame). This principles-based initiative will serve as a template for regulators to understand, evaluate, and oversee insurers that operate in multiple markets around the world. The IAIS is also reviewing certain insurance core principles (ICPs), or the standards that are developed through the IAIS, and that countries around the world, including the United States, will decide whether to adopt in a tailored manner. Recently, the IAIS has submitted to the Financial Stability Board a revised methodology for identifying global systemically important insurers (G-SIIs). The revised methodology incorporated improvements that allow for a more comprehensive, factual analysis of insurers under consideration, although more work needs to be done to eliminate potential legacy deficiencies from the previous G-SII methodology. Again, working with our international colleagues, the U.S. participants at the IAIS have promoted an approach to global financial stability that supports the development of insurance markets, enhances competition, protects consumers, and serves the interests of financial stability. Beyond covered agreement negotiations, collaboration between EU and U.S. insurance authorities is an essential component for protection of U.S. insurance consumers. The EU and the United States are both significant insurance markets. In terms of premium volume, despite the growing prominence of developing markets, the EU ranks first and the United States ranks second as consolidated markets. The EU and the United States are home to many of the world’s most prominent global insurers – large multinational insurance groups are finding opportunities for important organic growth in new markets around the world. As markets and regulatory approaches have evolved, supervisors in both jurisdictions have undertaken significant modernization and reform efforts. In light of these facts, FIO convened the insurance supervisory leadership of both jurisdictions at Treasury in January 2012. At this initial meeting, participants included FIO, state regulators, the European Commission, the European Insurance and Occupational Pension Authority, and the United Kingdom’s Prudential Regulatory Authority. We call this the EU – U.S. Insurance Project. State insurance regulators, including Commissioners Voss, McCarty, Consedine, Lindeen and Huff, have made valuable contributions to the effort. In 2016, we have also welcomed the participation of the Federal Reserve. Thanks to participants and supporting staff, the Project has been a demonstrably successful transatlantic collaboration. In September 2012, the Project released a report that identified similarities and differences between regulatory approaches in the EU and the United States and, in December 2012, the Project released an initial Way Forward, which outlined common policy objectives and milestones through 2017. Following the EU’s adoption of Solvency II in late 2013, and the December 2013 release of FIO’s report entitled HowTo Modernize And Improve The System Of Insurance Regulation In The United States, continued modernization by state regulators, and developments at the IAIS, the Project released a revised Way Forwardin August 2014 which updated the common objectives and milestones. The understanding developed through the Insurance Project provided the forum for authorities in the U.S. and EU to build technical awareness and provided a basis for resolution of certain long-standing issues through the covered agreement negotiations. The EU – U.S. Insurance Project continues to serve as an essential forum for sharing information and regulatory practices, especially in relation to regulatory modernization and implementation initiatives. With the advent of Solvency II and recent developments at the U.S. state and federal levels, consistent and substantive engagement between insurance authorities in the EU and the United States will remain an important area of focus. Indeed, after highly successful public events in each of the last four years – including more than 225 attendees at an NAIC meeting in December 2015 – the E.U.-U.S. Insurance Project will host another public meeting in October 2016 in Frankfurt, Germany. More than 200 attendees have already registered for this event. FIO is privileged to work closely with counterparts from all regions of the world, and these relationships allow FIO, and the United States, to learn about the markets and regulatory practices in both developed and developing economies. On September 8 and 9, FIO hosted at Treasury the first ever “Insurance Supervision in the Americas” forum and invited leading insurance authorities from North, Central, and South America to attend. Attendees included lead supervisors for 16 countries, including the United States, which was represented by state regulators, the Federal Reserve, and FIO. Participants addressed topics including natural catastrophes, financial stability, and retirement security, and the discussions provided critical insights into the challenges for supervisors, consumers, and insurers throughout the Americas. The information FIO received from our North, Central, and South American colleagues helps us better understand and shape the direction of international developments, including standard-setting. Through effective collaboration at home and abroad, U.S. insurance authorities – FIO, state regulators, and the Federal Reserve – continue to work collaboratively to promote a well?regulated insurance marketplace that protects consumer, promotes financial stability, and fosters competitive markets. In all of our work, both internationally and domestically, Treasury priorities will always be the best interests of U.S. consumers, U.S. insurers, the U.S. economy, and jobs for the American people. We welcome the chance to work with this Committee, and look forward to more discussions on these important topics.